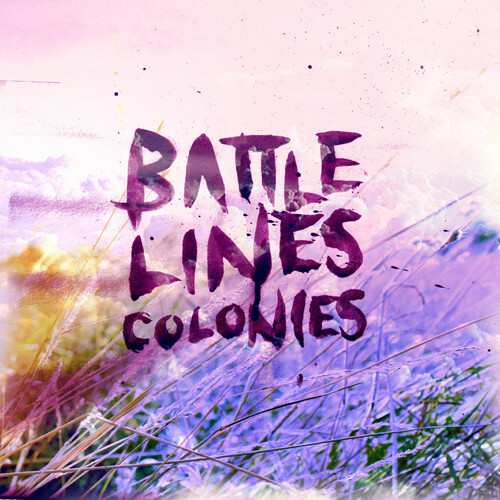 ‘Colonies’ is the latest track from Battle Lines, a blistered lullaby that's replete with head-filling lyrical paradoxes of emotional and sexual indifference; echoing distaste with the hypnotising line , "You mean nothing to me". The Leeds-based quartet came to attention with the release of their limited 7" single, ‘Hearts’ back in May and has led to the bands busy live schedule which includes performances at Reading and Leeds Festival, Beacons Festival and at coveted nights across the UK. With the intensity of the bands layered guitar soundscapes, affected percussion and stark melodies, Battle Lines are carving their niche in the British music scene and have many more exciting announcements to follow.